A master is described as a skilled practitioner of a particular art or activity who is adept, experienced, and proficient. Expert coaches deliberately practice. Practice is a random act of preparation. Deliberate practice is a structured task or activity aimed at improving a deficiency in your current performance. Dr. David Peterson, director of executive coaching and leadership at Google, described how he spent six months practicing the art of crafting the optimal opening question for a coaching session. Through deliberate practice, Dr. Peterson experimented with a variety of opening questions, reflected on their impact, and incorporated his learning into subsequent coaching sessions. Expert coaches do more than practice. They deliberately focus their practice on growth opportunities. Like Dr. Goldsmith, expert coaches turn the tables on coaching, either coaching themselves or participating in peer coaching. Master Coaches possess 10 years or 10,000 hours of experience but are not bound to 10 years or 10,000 hours of direct coaching experience. 10,000 hours to put it in context is approximately 1430 days 7 hours a day, or about 4 years including weekends. Master Coaches may draw their expertise from the context, conduct and/or constituency of coaching practice. • The context of coaching (where?) refers to the industry, function or organization of preferred coaching engagements. • The conduct of coaching (how?) includes the various disciplines in which the coach’s approach is grounded, such as business, psychology or adult learning. • The constituency of coaching (who?) references target clients and may include C-suite executives, female executives, emerging leaders or millennials, to name a few. The one common tool used by all successful international coaches is webinars. The Power of Webinars give a coach the ability to work one-on-one and one-to-many in a group setting. Martha Beck offers her form of Master Coach Training via webinars over a six month period with a 4-day live in-person retreat. As of July 2017, ICF has approximately 30,000 members in 140 countries. The International Coach Federation is a nonprofit organization dedicated to professional coaching. The IFC Master Certified Coach credential is a level of skill and experience shared by only 4 percent of coaches worldwide. ICF, the world’s largest coaching organization, remains successful in its core purpose: to advance the coaching profession. According to the ICF 2012 Global Coaching Study, approximately 47,500 professional coaches are now in business worldwide (bringing cumulative annual revenue close to $2 billion) as compared to 2,100 professional coaches in 1999. The same report found that more coaches reported an increase rather than a decrease in fees, hours, clients and revenues over the past 12 months. Overall, trend indicators point to a growing profession, also evidenced by ICF adding 2,000 new members a year. April 2017 saw the launch of Gregg Thompson’s book, The Master Coach: Leading with Character, Building Connections, and Engaging in Extraordinary Conversations. There is a massive trend, in fact it is The Coach Revolution. Today, coaching is recognized to be one of the most effective human resource development processes available, and it is becoming increasingly popular in organizations of all sizes. Faced with historically low levels of employee engagement (as little as 13% according to Gallup’s latest survey), business leaders see coaching as key to unlocking the human talent, creativity, and innovation that is hiding in plain sight in their workplaces. And rather than bring in external coaches for this purpose, they want to integrate coaching into their company culture—a 2015 study by the International Coaching Federation (ICF) and the Human Capital Institute (HCI) found that 81% of organizations surveyed planned to train managers/leaders in coaching skills. The Master Coach book draws on the wealth of experience and Thompson illuminates the essence of what it takes to be a great coach. The Master Coach book will appeal to leaders at all organization levels, showing them how to make a significant shift in their attitudes, values and behaviors and become more coach-like in all of their daily interactions and conversations. Thompson’s book, Master Coach, is based on the simple but profound 3Cs Coaching Model of Character, Connection and Conversation. Gregg asserts to master the art of coaching one must have an exemplary Character that invites the trust of others, be able to form rapid Connections (Relationship Riches) with others at deeply personal level, and have the ability to initiate and guide intense, attitude-changing Conversations. Gregg Thompson’s definition of a Master Coach is someone who, through their conversations, helps others accelerate their learning and increase their performance. 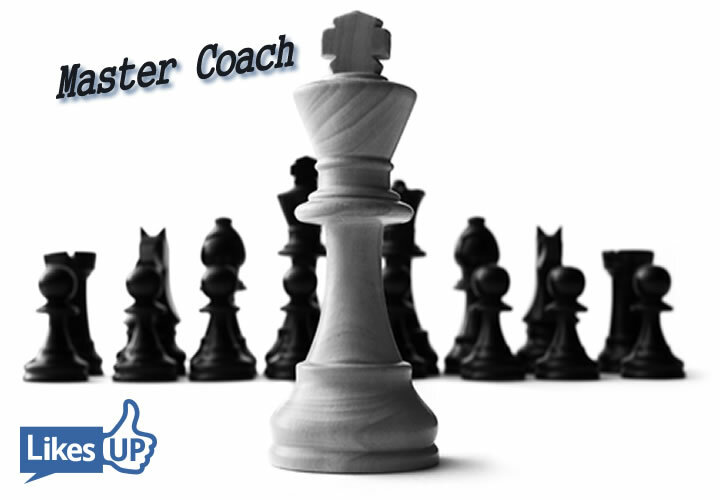 The Master Coach is not an advisor but, rather, a catalyst for sustained personal change in individuals. The Master Coach is a positive and creative force that challenges the person being coached to move from intention to action and holds the person accountable to do that. The Master Coach has highly-tuned interpersonal skills but is much more recognizable by who they are rather than what they do. They are men and women of exceptional integrity, sincere humility, noble intention, and a high degree of emotional intelligence. They take people into uncharted territories, challenge them to consider new perspectives, and help them plot significantly more fruitful paths forward. Gail Moore regularly invites Master Coaches (mostly MCC certified) to live tele-classes. These Master Coaches freely share their expertise, wisdom and their experience. To see all previous Master Coaches and read their bios, visit the past calls page. Gail defines a Master Coach as a coach who has also achieved a high level of distinction. They have had years of experience, coached many clients and have a very successful coaching practice. As a rule, the Master Coaches featured on her series have also attained master certification from the International Coach Federation or have such a significant and distinguished body of work and experience that they are a true recognized master by other masters. These Master Coaches have one or more of the following qualifications: are or have been a teacher, are or have been a mentor coach, have published a book, have created a unique process and/or started a school. Anyone who has attained the level of “Master” is one to be held in the highest esteem. They are to be truly admired and respected for their dedication, perseverance, talent and contribution as well as for the example they set and the great learning that only they can provide.